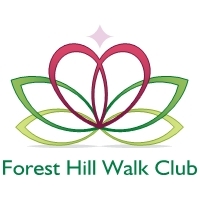 Forest Hill Walk Club is a community with heart connecting with nature! Come join us on a weekly Sunday walk! Meet other local people who are interested in walking for fitness! Walking is a great way to be active and to create a healthy lifestyle for well-being. Learn about the area while meeting new people. Each walk begins with greeting each other, perhaps a health/nutrition tip, and ends with some posture, breathing, and stretching movements (weather permitting). The walk is every Sunday rain or shine all year round. Dress accordingly with the expected weather. Led by Holistic Nutritionist Cheryl Millett who also practices Life Mentoring, Chapter President of Toronto Midtown Chapter of the Holistic Chamber of Commerce, and leadership for Auum Omega 3 Canada. This is a fragrance free walk. People are free to walk with others or decide to enjoy the walk in quiet. We are indeed a friendly group but be mindful of those that value their privacy and boundaries. As a walker, I acknowledge that this activity of the Forest Hill Walk Club (Club) in which I am participating involves risks that are beyond the control of the Club notwithstanding the acknowledgement of such risks I hereby release the Club and its volunteers from all claims for loss and damage, however so arising, as a result of my participation in activity organized by the Club. I am aware of the nature of the activity, its length, duration and degree of difficulty and I am properly equipped and physically able to participate. I have no medical or other conditions which might preclude my participation. I agree to follow the direction of the leaders. *The Club hopes that we continue to never have to use the above. Let us put safety first and be aware of our surroundings. Meetup and walk begins promptly at 10 am. Annual membership available or pay as you come.